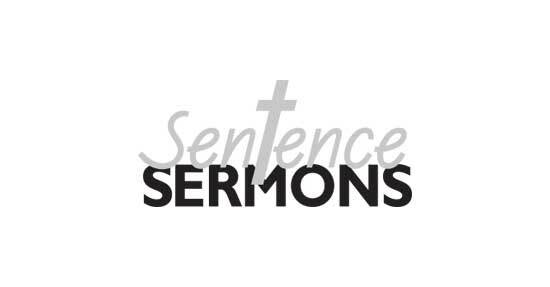 Very Clever One Sentence Sermons! •Be Fishers of Men ... You catch 'em, He'll Clean 'em. •A family altar can alter a family. •A lot of kneeling will keep you in good standing. •Don't put a question mark where God put a period. •Don't wait for 6 strong men to take you to church. •Exercise daily. Walk with the Lord! •Forbidden fruits create many jams. •Give God what's right, not what's left! •Give Satan an inch and he'll be a ruler. •God doesn't call the qualified, He qualifies the called. •God grades on the cross, not the curve. •God loves everyone, but probably prefers "fruits of the spirit" over "religious nuts"! •God promises a safe landing, not a calm passage. •Having truth decay? Brush up on your Bible! •He who angers you, controls you! •He who is good at making excuses, is seldom good for anything else. •He who kneels before God, can stand before anyone! •Kindness is difficult to give away, because it keeps coming back. •Most people want to serve God, but only in an advisory capacity. •Never give the devil a ride! He will always want to drive! •Nothing ruins the truth like stretching it. •Plan ahead. It wasn't raining when Noah built the ark. •"Pray" is a four letter word that you can say anywhere. •Prayer - Don't give God instructions - just report for duty! •The Will of God will never take you to where the Grace of God will not protect you. •This Church is "Prayer Conditioned"! •To be almost saved is to be totally lost. •WARNING: Exposure to the Son may prevent burning! •Watch your step carefully! Everyone else does! •We don't change the message, the message changes us. •We set the sail; God makes the wind. •We're too blessed to be depressed. •Wisdom has two parts: 1) Having a lot to say. 2) Not saying it. •I would rather live my life as if there is a God, and die to find out there isn't, than live my life as if there isn't, and die to find out there is.